The Brown & Orange Dress Down Nymph is one of the 'Dress Down' series of flies that are designed to wiggle and tease. It represents a wide range of naturals and is successful on a diversity of waters throughout the season. Hook : 10-16. Sedge hook. Body : Orange holographic tinsel dubbing, orange seal's fur or substitute. Rib : Orange vinyl rib or magic glass. Kicker legs : Solid red crystal hair. Collar : Brown ostrich herl. Head : 4 mm gold bead. 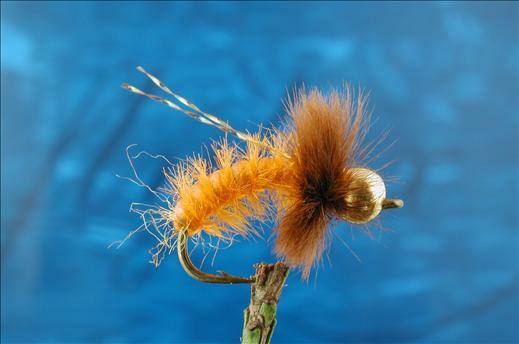 Currently there are no comments about the Brown & Orange Dress Down Nymph fly pattern from other fly fishermen yet.